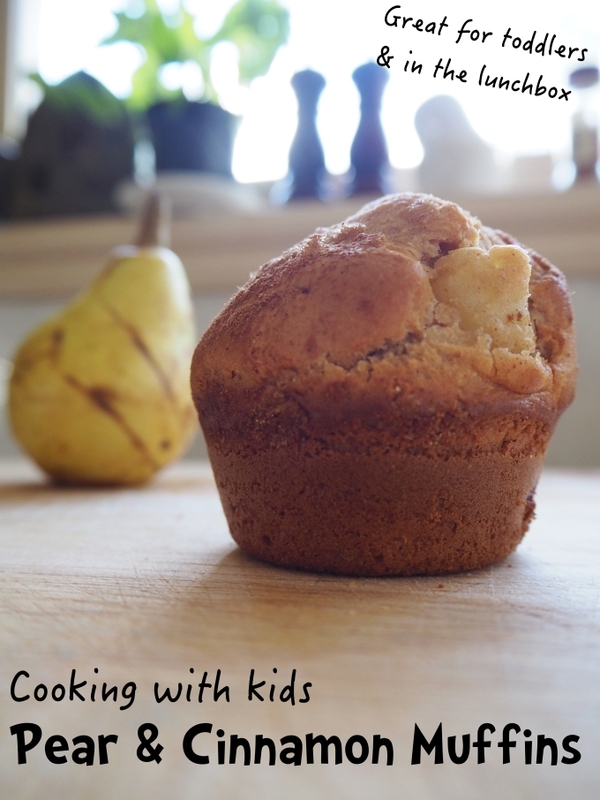 Make this delicious pear and cinnamon muffin recipe as a fun idea for cooking with kids. 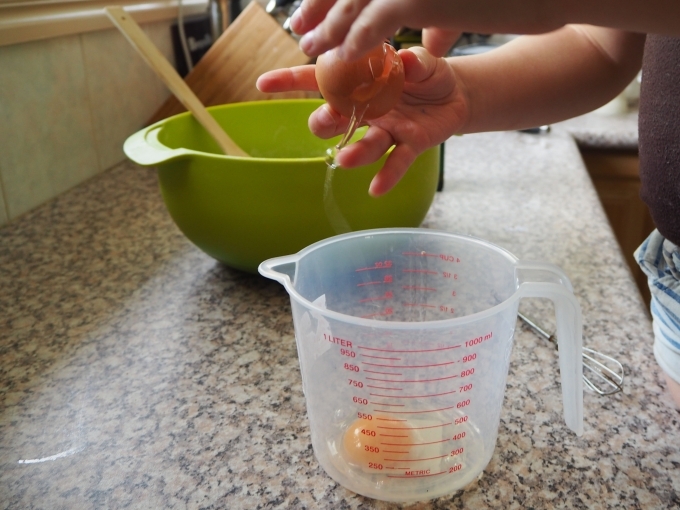 Cooking is great for maths, motor skills, concentration and science! 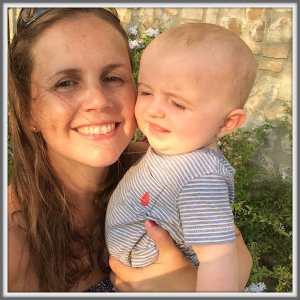 Here’s the latest in our series of fabulous guest posts from fantastic bloggers around the world. 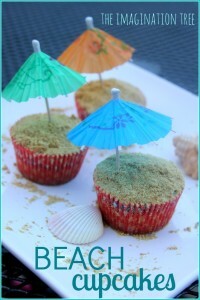 Here is Deb from Learn with Play at Home sharing a favourite recipe for cooking with kids. Aside from the fine motor skills, the scientific concepts we explore, the maths skills we practice and the language we use, I find that cooking and preparing food together allows us opportunities to organically discuss issues surrounding food, healthy eating and healthy living. I also find that my children are more likely to try new foods when they’ve been part of the cooking process. 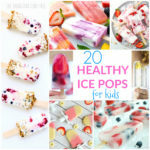 With one child in school and one about to start kinder, we’ve been busy in the kitchen, preparing all sorts of yummy, more health-conscious treats to pop in the lunchbox. Muffins are a particular favourite of ours to make as they come in individual serving sizes already, you can easily mix and match ingredients for different varieties and they freeze and defrost well. 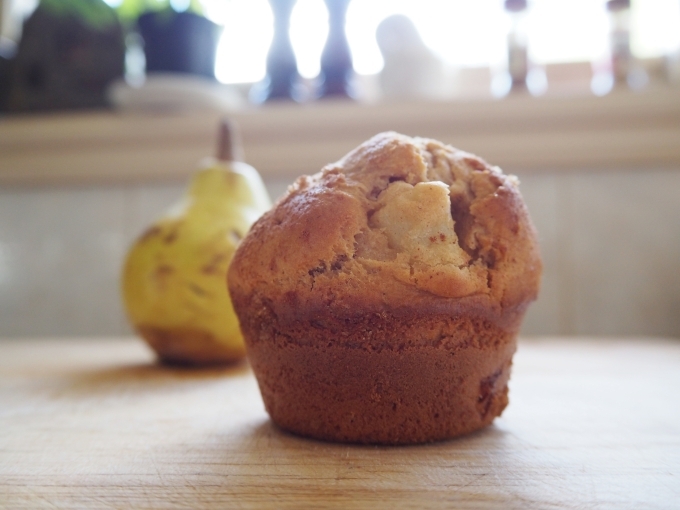 Here is our pear and cinnamon muffin recipe. Enjoy! 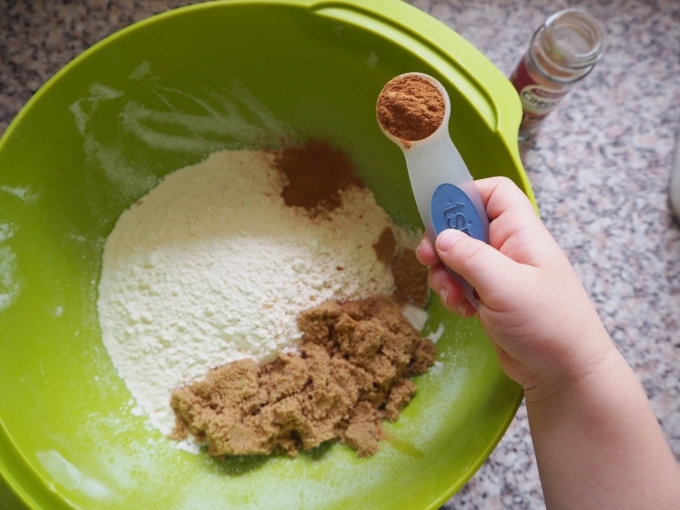 Gather all your ingredients and go through the steps with your children before you start. Today, my 2 children helped me out with individual steps each. Peel, core and dice your pears. This step may require some assistance depending on your child’s skills. 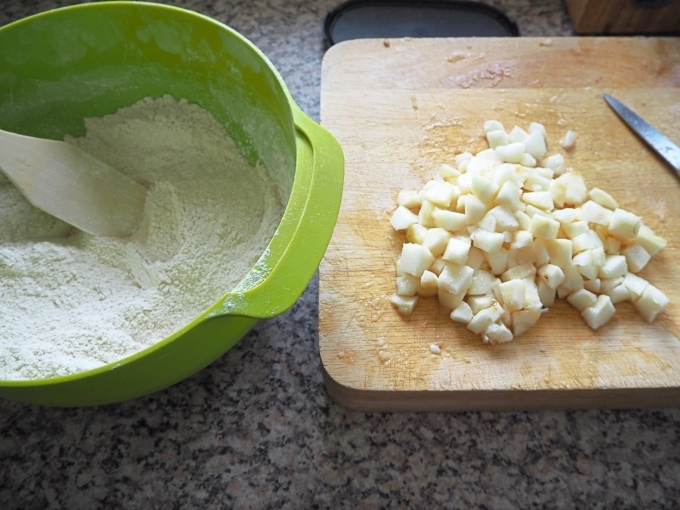 Add the diced pear to the flour mix and carefully stir through. 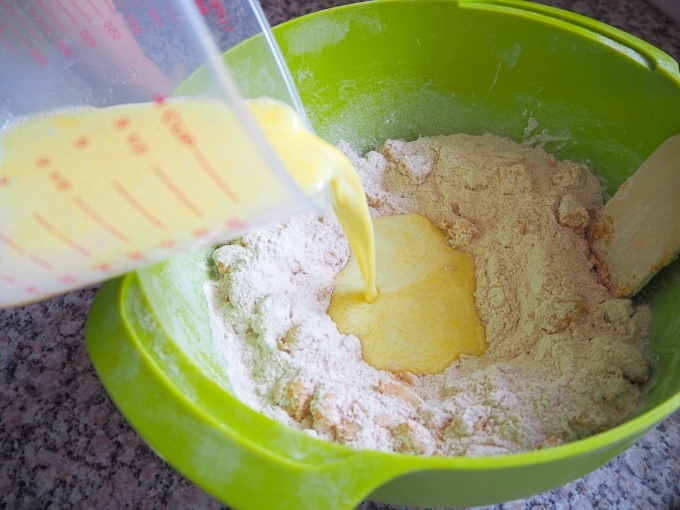 Divide the muffin mixture between your muffin tins. This recipe will make 12 large muffins or around 15 medium muffins. You can increase the fruit content to spread the mix even further. Finish the muffins with an extra sprinkle of cinnamon and some optional brown sugar on top. 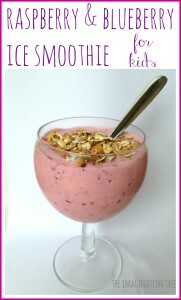 You could also save some of your diced fruit and sprinkle that on top as well. Bake in a medium oven for approx. 20 minutes or until they are done and the tops spring back when pressed. As all ovens cook things a little differently, be sure to check them after about 15 minutes and then get them out as soon as they are done. 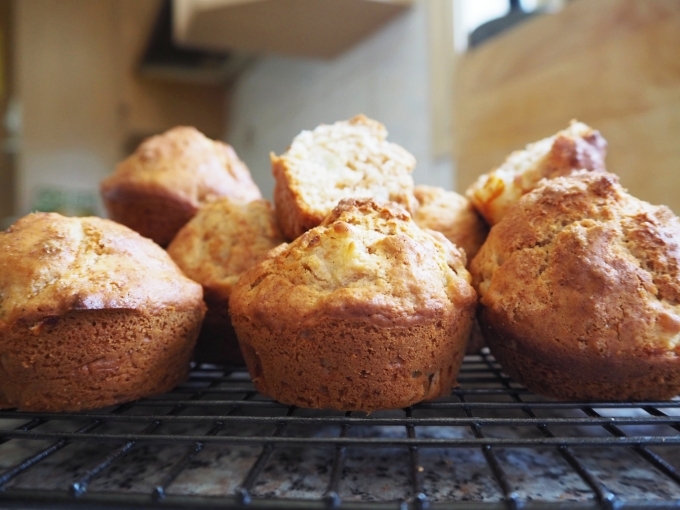 Best eaten fresh, these muffins freeze well and will defrost in a lunchbox ready for snacktime. Bake for 20 minutes or until done. They should spring back when pressed on top. For even more kid-friendly recipes as well as tons of educational ideas and activities for kids, pop over to our play based learning site, Learn with Play at Home or come and follow us on facebook. 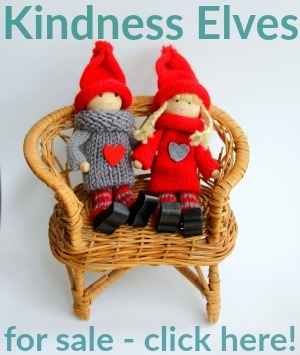 Written by Aussie mum and teacher, Debs. 30 Healthy Lunch Box Ideas: One for Each Day of the Month! 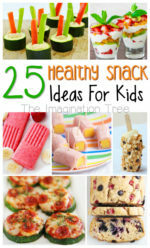 20 Great Toddler Meal Ideas!